Q. 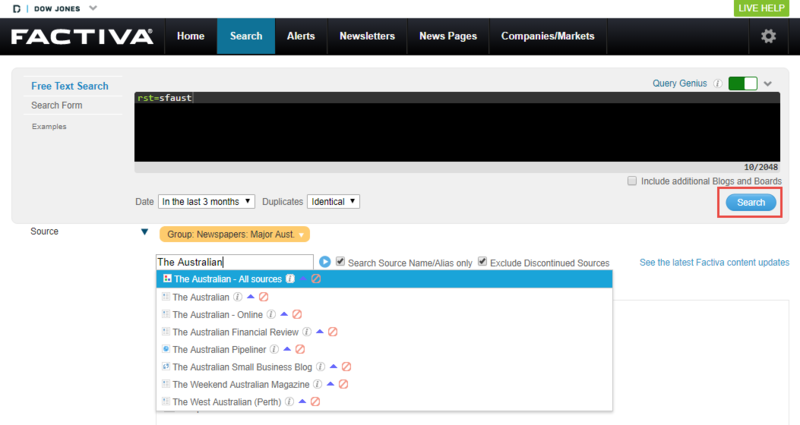 How can I browse for articles within a specific newspaper in Factiva? 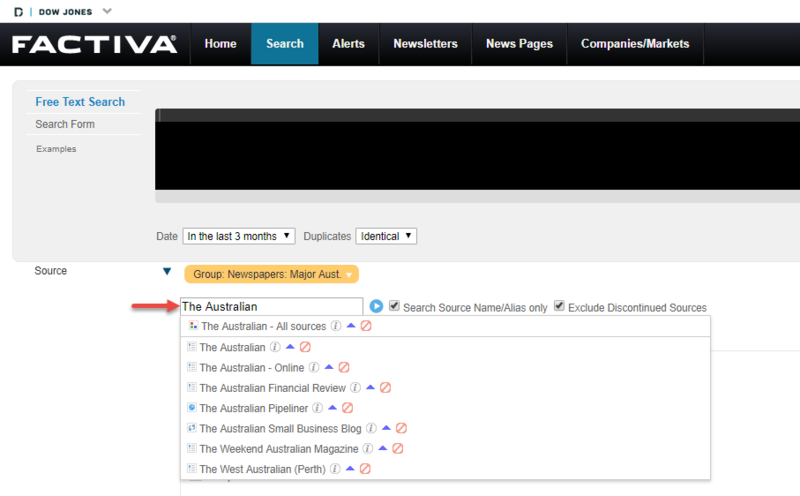 Select the arrow alongside Source then begin typing the newspaper title into the search box. A list of suggested newspapers should appear underneath. Once the required newspaper appears, click on the arrow alongside the information icon. The Dow Jones Intelligent Indexing (DJII) code will then appear in the Free Text Search box above, and then click on the Search button.